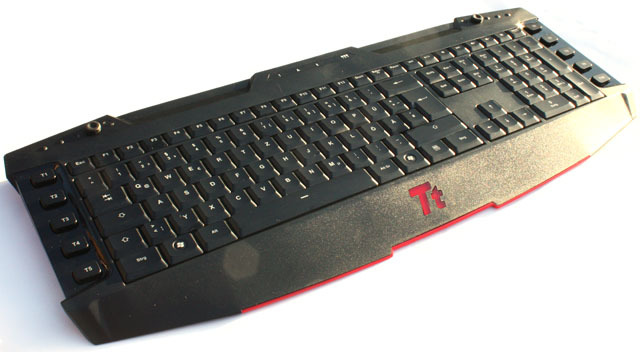 ThermalTake is a relatively newcomer in the gaming peripheral market. 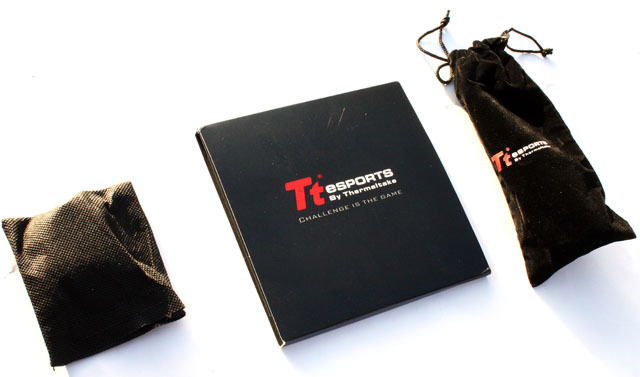 The company is widely known among computer enthusiasts for its cases, power supplies and coolers, and in January 2010 the company introduced Tt eSPORTS, a new brand dedicated to gaming gear. 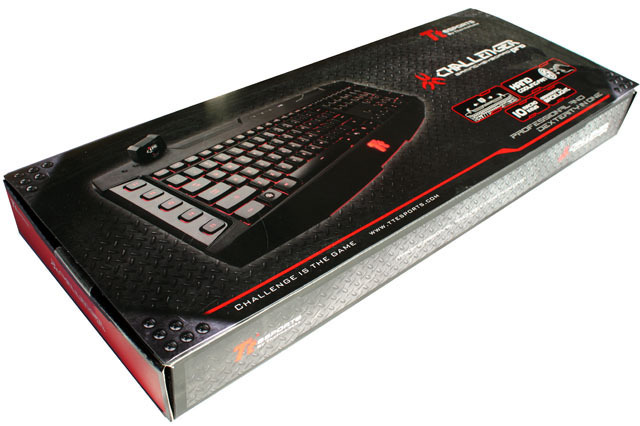 Among the first of Tt eSPORTS' products is the Challenger Pro, a $69.99 keyboard designed for pro gamers. The Challenger Pro packs quite a lot of features, it comes with red key illumination, 64KB onboard memory, ten macro keys with 4 profiles per key, two USB 2.0 ports, dedicated multimedia keys, and interchangeable keys. Perhaps the most exciting thing about this keyboard is that it ships with a small fan designed to cool sweaty hands, a feature we've never before seen on any keyboard. The keyboard arrives in an attractive box, inside you find the keyboard and all the accessories. After opening the box I discovered that the keyboard has its own travel bag, quite a nice touch. 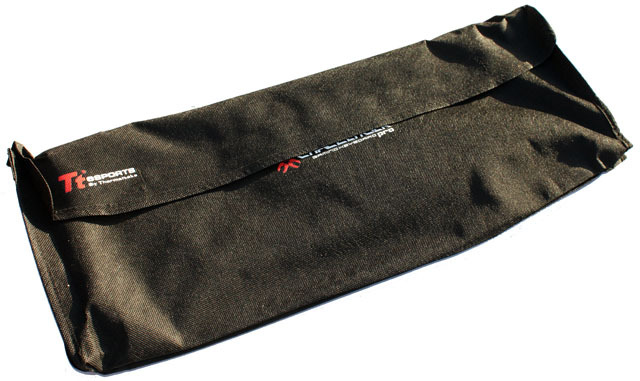 It's a cloth cover that's closed using a long strip of Velcro. At first glance the keyboard reminds me a little bit of a Razer keyboard, the (non-detachable) wristrest prominently features an illuminated Tt eSPORTS logo, similar to the Razer logo seen on the Razer Tarantula. The Challenger Pro is made from black plastic with some beautiful red accents. The build quality is pretty good but for some reason I find that the plastic used for this keyboard looks a little too cheap. The keyboard measures 505mm x 195mm x 27mm (L x W x H), slightly larger than an average keyboard due to the macro keys on the left and right side of the board. The Challenger Pro's keys are tightly spaced together, it may take you some time to get used to its layout if you're coming from a keyboard with larger distance between the keys. Especially the short distance between the "A" and the "Caps Lock" can be a little tricky at first. Before we move on to the rest of the keyboard, here's a brief overview of the Tt eSPORTS Challenger Pro's features and specifications. 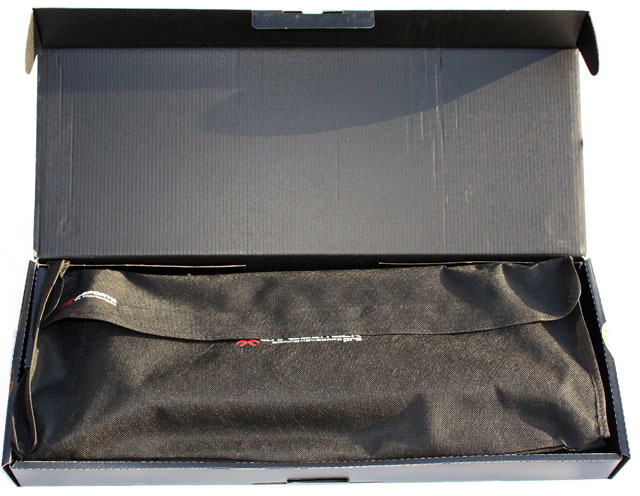 Included in the package is a cardboard box with the user manual as well as a CD for driver installation. The velvet pouch includes the USB cable for connecting the keyboard to your computer and the small bag houses the interchangeable keys plus a key removal tool. Ten additional keys are included, if you want you can replace the WASD and the arrow keys with with these bright red versions. 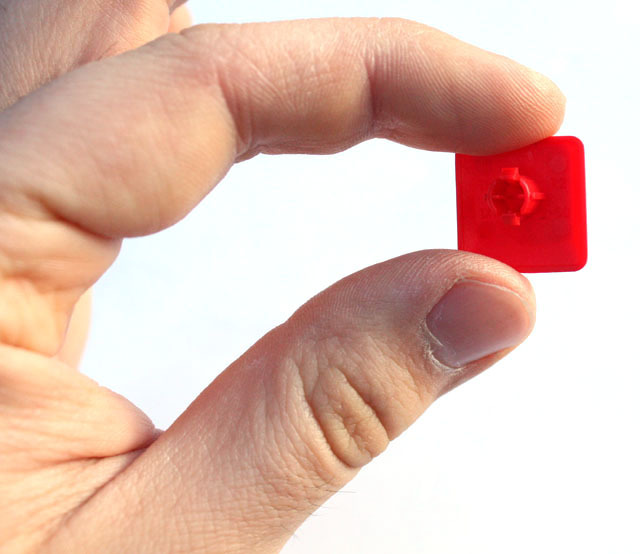 Removing a key is done with the included keycap puller. The two black keys are dummy keycaps, you can use these to replace the Windows keys to prevent accidental game escape by pressing the Windows key. 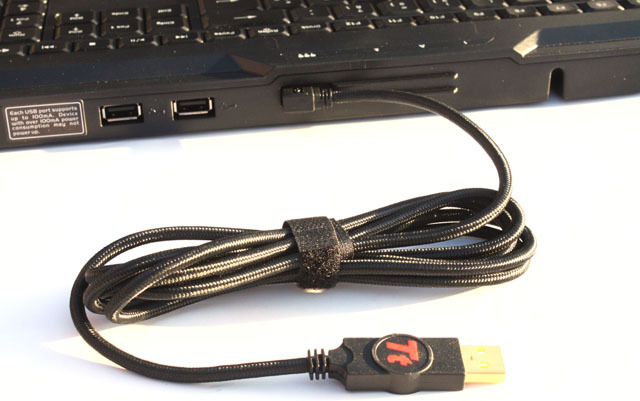 A nice touch is that the braided USB cable is removable, it even comes with a Velcro to wrap it back up. 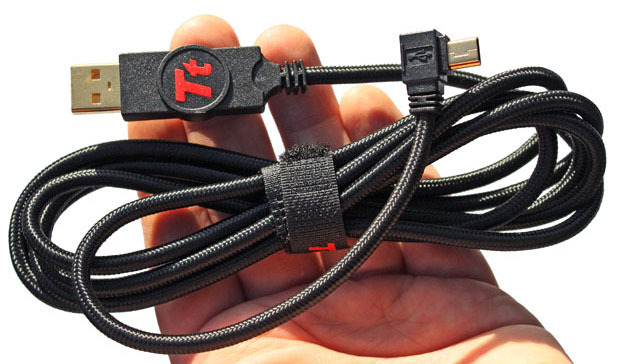 The small Mini-A USB cable goes into the back of the keyboard, and another nice touch is that the large USB connector features a Tt eSPORTS logo.